A rabble-rousing patient on a psychiatric ward is brought into a room and strapped to a gurney. He is being punished for his defiance of the head nurse's sadistic authority. As he lies fully awake, the psychiatrist and other staff members place electrodes on both sides of his head and pass a quick jolt of electricity between them. Several orderlies hold the patient down while he grimaces in pain, thrashes uncontrollably and lapses into a stupor. This scene from the 1975 Academy Award–winning film One Flew Over the Cuckoo's Nest, starring Jack Nicholson as the rebellious patient, has probably shaped the general public's perceptions of electroconvulsive therapy (ECT) far more than any scientific description. As a result, many laypeople regard ECT as a hazardous, even barbaric, procedure. Yet most data suggest that when properly administered, ECT is a relatively safe and often beneficial last-resort treatment for severe depression, among other forms of mental illness. One Flew Over the Cuckoo's Nest is far from the only negative portrayal of ECT in popular culture. In a 2001 survey of 24 films featuring the technique, psychiatrists Andrew McDonald of the University of Sydney and Garry Walter of Northern Sydney Central Coast Health of New South Wales reported that the depictions of ECT are usually pejorative and inaccurate. In most cases, ECT is delivered without patients' consent and often as retribution for disobedience. The treatment is typically applied to fully conscious and terrified patients. Following the shocks, patients generally lapse into incoherence or a zombielike state. In six films, patients become markedly worse or die. Probably as a result of such portrayals, the general public holds negative attitudes toward ECT. In a 2012 survey of 165 students in undergraduate psychology courses, who are presumably more likely than most to be informed about mental illness therapies, psychologists Annette Taylor and Patricia Kowalski of the University of San Diego found that roughly 74 percent agreed that ECT is physically dangerous. And a 2006 survey of 1,737 Swiss citizens led by psychologist Christoph Lauber, then at the Psychiatric University Hospital in Zurich, revealed that 57 percent perceived ECT as harmful; only 1.2 percent supported its use. ECT, colloquially called “shock therapy,” was introduced in 1938 by Italian neurologists Ugo Cerletti and Lucio Bini as a treatment for psychosis. (Cerletti apparently got the idea after observing that cows that had been shocked prior to slaughter became sedated.) The treatment is simple: electrodes are attached to a patient's head, and electric current is passed between them, causing changes in brain chemistry and activity. In line with the public's perceptions, the intervention often was perilous before the mid-1950s. Back then, patients were awake during ECT. The shocks caused convulsions, and broken bones were a fairly common result of the body thrashing about. After all, when properly administered, ECT induces a seizure; indeed, many researchers argue that a seizure is needed for the procedure to work. Nowadays in the U.S. and other Western countries, patients receive ECT in conjunction with a muscle relaxant and a general anesthetic, both given largely to tamp down muscular activity during the seizure and decrease overall discomfort. Hence, although patients still undergo a seizure, they are unconscious during the procedure and do not experience pain or observable convulsions. During ECT, the patient's brain waves, along with other vital signs, are monitored to ensure safety. These advances have made ECT much safer and less frightening than it once was. In a 1986 survey of 166 patients who had received ECT, psychiatrists C.P.L. Freeman and R. E. Kendell of the University of Edinburgh found that 68 percent reported that the experience was no more upsetting than a visit to the dentist. For the others, ECT was more unpleasant than dentistry, but it was not painful. Still, the treatment is not hazard-free. In some countries, physicians deliver ECT much as they did in the pre-1950s era. In a 2010 review psychiatrist Worrawat Chanpattana of Samitivej Srinakarin Hospital in Bangkok and his colleagues found that 56 percent of patients across 14 Asian countries received ECT with no muscle relaxant or anesthetic. And ECT performed anywhere has some downsides. Patients typically emerge from a session temporarily disoriented. More seriously, most patients experience retrograde amnesia afterward: they no longer remember many events that occurred a few weeks to months before the treatment. The loss is less pronounced when electrodes are placed on one side of the head rather than on both. And recent technologies, including brief-pulse machines that permit the electricity doses to be carefully calibrated, minimize the extent of the amnesia. But some memory problems virtually always accompany the procedure. In addition, some studies hint that ECT can in rare cases lead to lasting cognitive deficits beyond the limited retrograde amnesia, although the data backing this possible outcome are far from definitive. Given its adverse effects on memory, patients should consider ECT only after other treatments have failed. Yet the bulk of research suggests that ECT can be effective at alleviating the symptoms of several mental illnesses, including severe depression and the manic phase of bipolar disorder. It also seems to ease catatonia, a condition marked by striking movement abnormalities, such as remaining in a fetal position or gesturing repeatedly, that may accompany schizophrenia and bipolar disorder. The case for the intervention would be even stronger if researchers could determine why it works. According to a 2011 review, psychiatrist Tom Bolwig of Copenhagen University Hospital noted that ECT increases the secretion of certain hormones that are disturbed in depression. Others have suggested that the electricity stimulates neural growth and helps to rebuild brain areas that are protective against depression. A third idea is that the seizures themselves fundamentally reset brain activity in ways that often bring relief, Bolwig concludes. 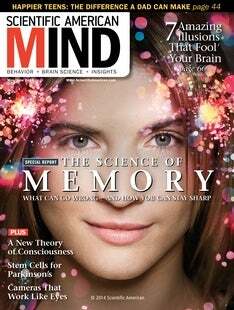 ECT may also ameliorate illness by altering the sensitivity of receptors for neurotransmitters, such as serotonin [see “Is Depression Just Bad Chemistry?” by Hal Arkowitz and Scott O. Lilienfeld; April/May 2014]. None of these hypotheses, however, has yet to garner convincing research support. As we learn more about this widely misunderstood intervention, we may be able to refine our delivery methods and reduce ECT's negative effects. Even in its current form, however, the treatment is a far cry from the barbaric punishment portrayed in the media. Hence, it is often worth considering as an option for unremitting psychological distress after all else has failed. Shock: The Healing Power of Electroconvulsive Therapy. Kitty Dukakis and Larry Tye. Avery Publishing Group, 2006. Hollywood and ECT. Andrew McDonald and Garry Walter in International Review of Psychiatry, Vol. 21, No. 3; pages 200–206; June 2009. Scott O. Lilienfeld is a psychology professor at Emory University. Hal Arkowitz is a psychology professor at the University of Arizona. The authors thank Lori Marino for her generous help with this article.